The Ticketstripe and Stripe integration gives our customers the advantage of lower credit card fees and fast direct deposits; within 2 days of every order. 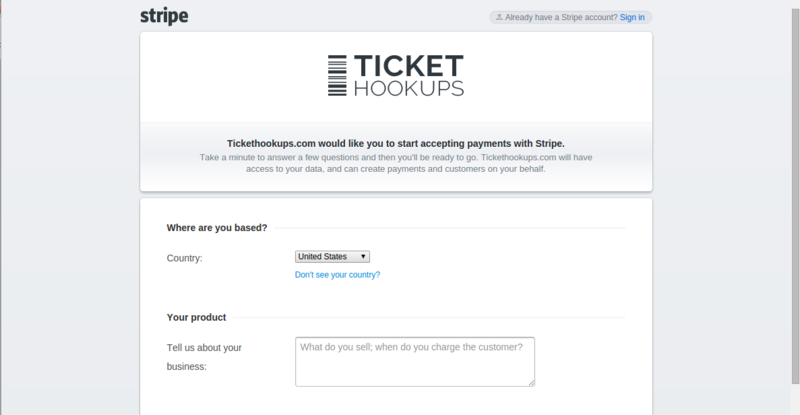 To start selling tickets using Stripe, follow the simple steps below. The entire process will only take a few minutes. 1 Login to your Ticketstripe account and click “My Account” from the top menu. 2 Click on “Payment” to get to your Payment Options page. Then, Click “Connect with Stripe” and you will be taken to a secure Stripe registration page. 3 If you already have a Stripe account, you can choose to “Sign in”. Otherwise, please fill out the information required by Stripe starting with “Your Product” section. 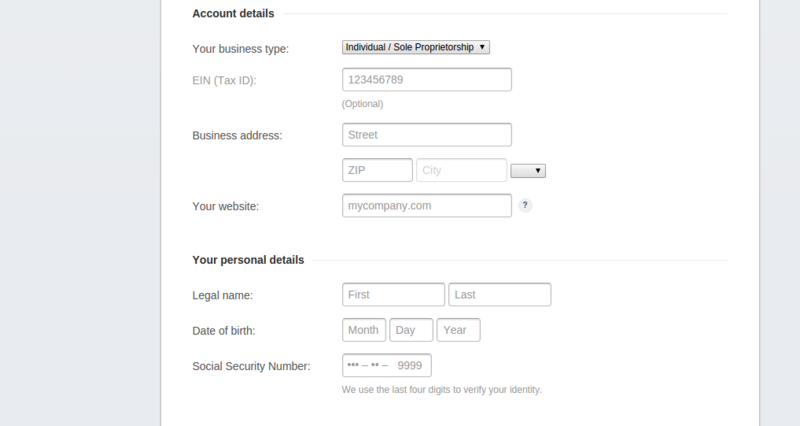 4 In “Account details” choose your business type, fill in your Tax Id (Optional), business address and website URL if you have one. If you do not have your own website, you can use your Ticketstripe event page URL. Fill in “Your personal details”. 5 In “Credit card statement details” you need to enter the information that your buyers will see on their credit card statements. For “Business name”, type in something that your ticket buyers will recognize from your event page or your promotions. It can be your business name, organizers name, venue name, or if you are running a single event, the name of that event. In “Bank details” enter details of the bank account where you want your funds to be deposited. 6 Type in your email and choose a password. Note, this is not the same information as you have on file with Ticketstripe. You can use a different email and password here. Finally, clicking “Authorize access to this account” will allow Ticketstripe to process your credit card sales using your Stripe account. Note, this does not give us access full access to your account as we can only process sales on your behalf.